South Branch Veterinary Services offers quality veterinary medical care in a friendly, relaxed veterinary clinic setting. Our small animal veterinary hospital is located 3 miles south of Route 78, on Route 31 in Lebanon….right in the heart of Hunterdon County, New Jersey. We are just minutes from Flemington and Clinton NJ. Have fun exploring our website and learning more about our veterinarian services. Just remember, our vet is just a phone call away at 908-735-9998, or if you prefer info@sbveterinary.com. South Branch Veterinary Services’ slogan – “Compassionate Care for Pets & Their Pals” says it all. South Branch Veterinary is dedicated to the most compassionate and state of the art care for your pets and the highest level of communication possible with you about their well-being. 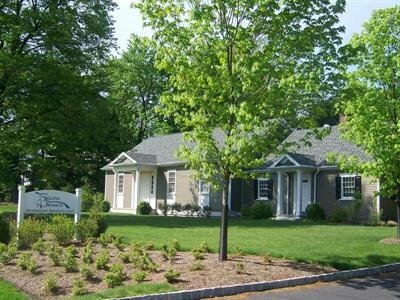 South Branch Veterinary Services is a full-service veterinarian medical facility, located in Lebanon, NJ. The professional and courteous staff at South Branch Veterinary Services provides medical, surgical, and dental services for exotics, including birds and pocket pets, as well as small animal pets. We are committed to promoting responsible pet ownership, preventative health care and health-related educational opportunities for our clients. South Branch Veterinary Services strives to offer excellence in veterinary care to Lebanon, NJ and the surrounding area. The South Branch team’s synergetic work has earned them the highly coveted and respected membership in the AAHA- American Animal Hospital Association. The “Standard of Veterinary Excellence”. This association was formed to provide continuing education and regulations to achieve a higher standard of care for animals in America. This is a rare honor which only 15% of the Animal Hospitals and veterinary clinics in the country have been able to achieve and maintain repeatedly. This veterinarian hospital is always ready to meet your pet’s needs. We are committed to the environment and are a paperless practice. Please feel free to download our PetPage app for your phone! We also have a highly competitively priced in-house pharmacy on site and an online pharmacy, VetSource, with great prices, free delivery with purchases over $49, and a secure credit card site. Purchasing your pet’s medications from South Branch Veterinary Services gives you the confidence you need with online ordering. Our medications come right from the pharmaceutical company with no risk of counterfeit, mislabeled, or outdated drugs. South Branch Veterinary Services, LLC is open Monday through Thursday from 8:00am until 7:00pm, Friday from 8:00am until 6:00 pm, and Saturday from 8:00am until 11:00am. We are closed from 1:00 to 2:00 p.m. on Wednesdays for essential staff/team weekly meetings. South Branch prides itself in being a team of very intuitive cooperative caregivers for your pets. Our weekly meetings help keep the team efficient and informed with up to the minute medical news that needs to be shared on a regular basis to keep synergy within the hospital. This schedule is designed to accommodate a variety of different schedules. We don’t want to lose that personal touch and ask that you call us at 908-735-9998 so that we may reserve that perfect time for your pet. Feel free to call us any day with your questions, schedule a tour of the hospital or to make an Appointment at 908.735.9998. If you prefer you can e-mail us at info@sbveterinary.com. We will make every effort to respond to your request in a timely manner.